Set, lighting and costume designs for theatres across Canada, including Stratford Festival, Grand Theatre, Canadian Stage Company, Tarragon Theatre, Canadian Opera Company, Citadel Theatre, Theatre New Brunswick, National Arts Centre, Manitoba Theatre Centre and Pacific Opera Victoria. Three "Dora" awards (out of nine nominations). 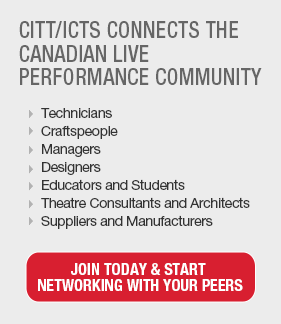 Theatre Consultant, including Citadel Theatre, Canadian Museum of Civilization, University of Lethbridge, Calgary Centre for the Performing Arts and Accolade Building (York University). Twice exhibited at the Prague Quadrennial of Scenography and Commissioner for the Canada PQ Exhibit (1999). Member of the Royal Canadian Academy of Arts and Associated Designers of Canada. Dean of York University Faculty of Fine Arts (1998 – 2008). Recipient of CITT 2015 Ron Epp Memorial Award for Professional Acheivement.